A windy and sometimes horribly wet Combined Clubs Spring weekend at Bisley but managed some good shooting from Scots with three in the top five. The winner last won it outright 29 years ago and the confined Scottish Eight Cup 19 years ago. The Scottish contingent which descended South for the warm sun and a summery shoot at the Eight Club Spring Meeting were in for a rude shock. Those who arrived for a practice on the preceding Friday became quickly aware of reality when their sighters, fired with twelve minutes of left wind, arrived downwind in the outer. Falling back for some shots at 1100 yards, we still needed some sixteen minutes of wind and had difficulty holding the gun steady. It was cold and blustery, but it was, at least, still dry. Saturday dawned with slightly less wind, from the West, but the rain had started. Worse still, because of a problem with range availability, we commenced shooting at 1200 yards. Results were predictable, with shooters shuffling off the firing point, thankful for breaking 60 points (ex 75). Top score at 1200 yards was made by Aled James with 71.4. Only two people broke 70. As we moved forward to 1000 and 1100 yards, seriously dark clouds appeared from the West, presaging severe squalls. The weather pattern was uneven, which inevitably marred the competition as heavy rain singled out the first details at both ranges. All shooters got very wet, but those in the first details undoubtedly suffered worst. Leader for the day was Angus McLeod who took the HG Courth Trophy with 210.20, closely followed by Gareth Jones of Wales with 209.16 and Mike Baillie-Hamilton with 209.14. Leading lady was Fiona Day with 189.06. Spirits were hugely revived by an extended reception at the English Eight Club, followed by an excellent dinner held in the North London Rifle Club. On Sunday, hopes of warmer weather were soon dashed. The brisk and blustery wind continued, running at about 12 minutes from the West, but now spiced with fine misty rain, still capable of causing difficulties. It was cold, and made colder by the sight of Si Whitby’s bare feet exposed on the firing point. Conditions at 1000 yards had, however slightly improved, allowing Rob Lygoe to make a fine 75.7. This was to be the only Highest Possible Score during the meeting. At 1100 yards, however, the rain was worsening and the wind was still strong, Hugh Butcher making the best score with 72.10, just ahead of Gareth James with 72.6. By lunchtime, morale was definitely weakening, but the wind had not finished with us. Gusting up to seventeen minutes of left wind, it was hard stay in the black. Only twenty three shooters out of sixty broke 60, with Rob Lygoe making a fine 72.4 – his second top score of the day. At the finish, Scots took three out of the first four places – and the Under 25 competition. Mike Baillie-Hamilton won the overall aggregate, with a fine score, considering the conditions, of 421.32, with Gareth James (Wales) second on 417.36 and Angus McLeod third on 415.35. 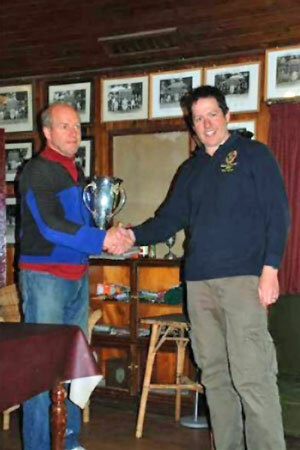 In the closed events, The English Eight, Cottesloe’s Cup was won by Rob Lygoe and the Welsh Rifle Association Cup by Gareth James. 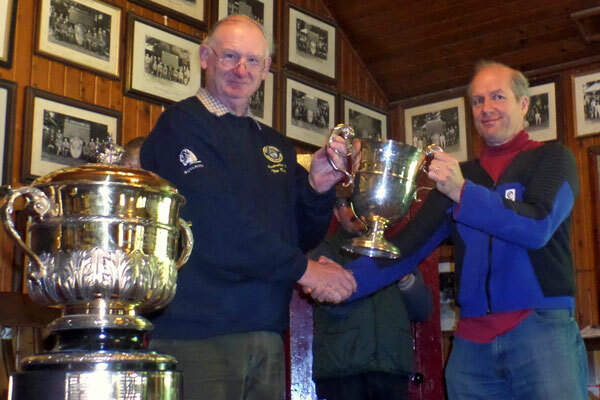 The Scottish Eight Cup was won by Mike Baillie-Hamilton with Angus McLeod second and Hugh Butcher third with 409.29. Mike Baillie-Hamilton also took the open Welsh Rifle Association Aggregate and the Martin Smith Challenge Cup (Sunday Aggregate). The 1200 yard Aggregate went to Rob Lygoe. Kate Fitton won the Powell Trophy for Ladies with 383.16, followed closely by Hannah Fisher with 382.20 and Fiona Day with 382.13. 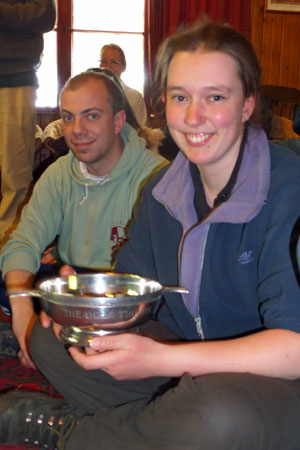 Hannah was, however, rewarded by winning the OCRA Trophy (Under 25), beating off competition from Ashley Abrahams (378.22) and Michael Boucher (363.21). 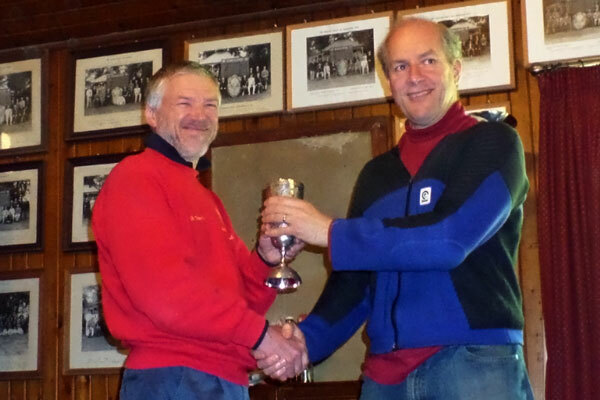 Despite all the battering from wind and rain taken by competitors, this meeting was greatly enjoyed by most – and supported by excellent organisation and very good marking throughout. Those markers certainly had to work very hard to find our shots during the two days – the surprise shots being those in the centre.